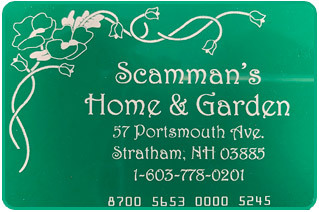 Enter for a chance to win a $25.00 gift certificate for Scamman's Home & Garden! Like us on Facebook to enter for a chance to win. The more friends and family you refer and signup, the more entries into the drawing you will receive. Good luck and spread the word and thanks for visiting Scamman’s Home & Garden. Winner will be announced on May 1, 2019.